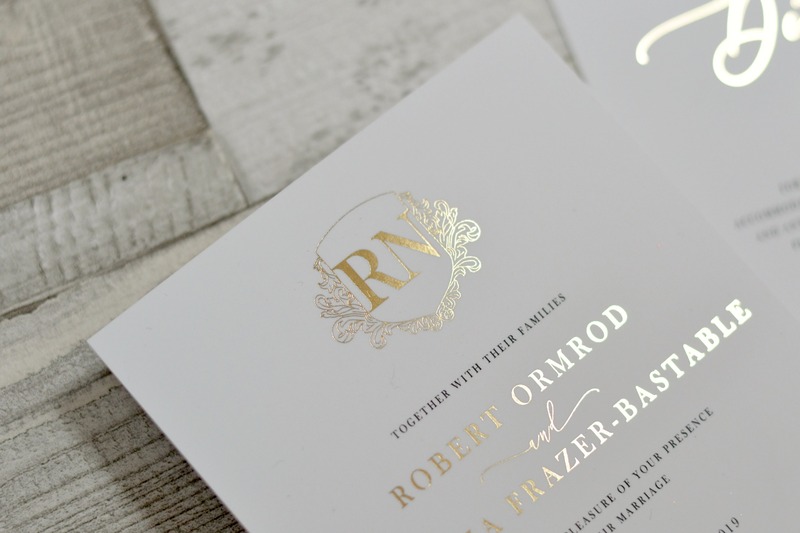 N & R asked us to create them some ‘classy invitations featuring their initials and an emblem’. 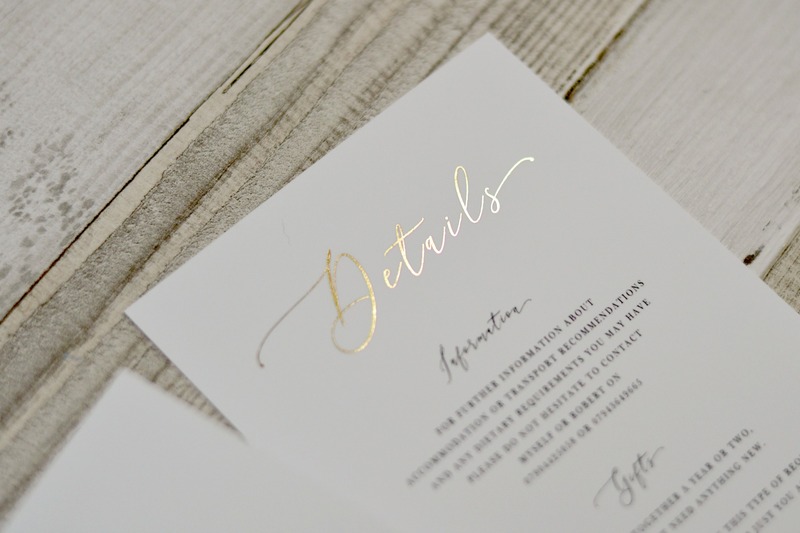 So we designed these elegant bespoke wedding invitations for them which we think hit the brief bang on. 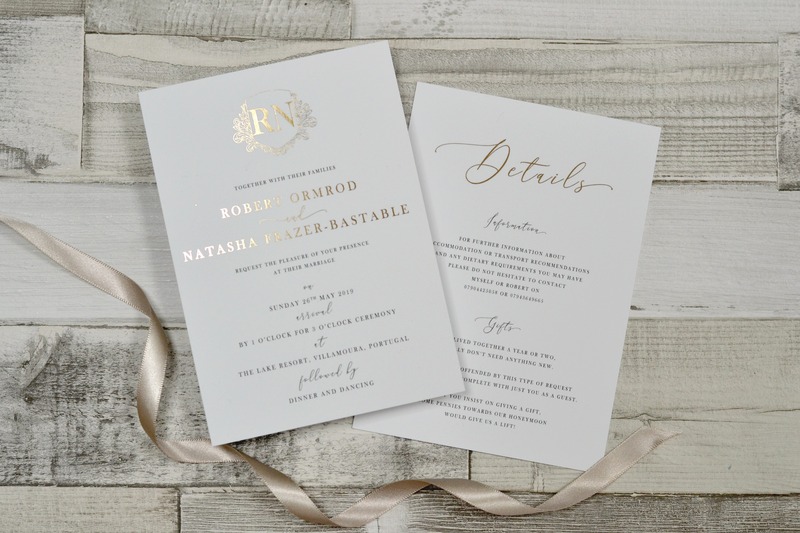 They featured a wedding crest with their initials, modern and calligraphy fonts and gold foil on a silk card with a velvet lamination. These were paired with coordinating information cards and printed envelopes liners.